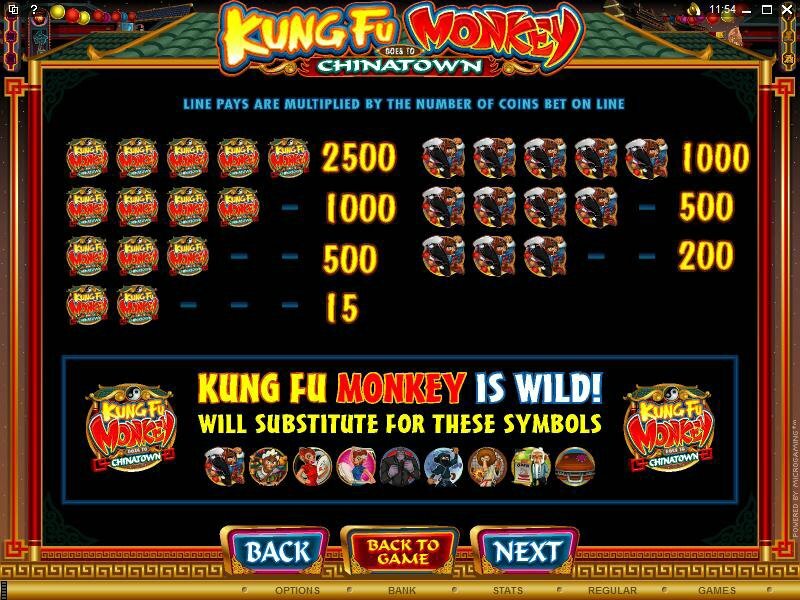 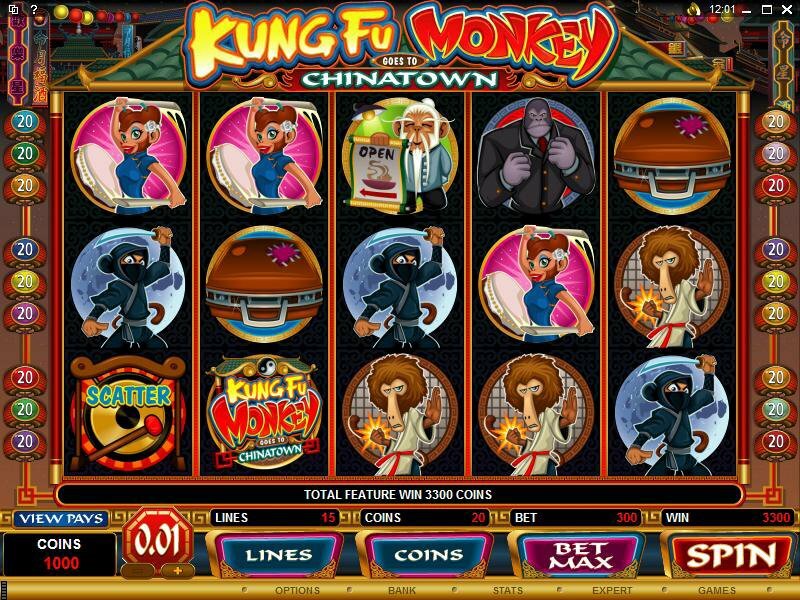 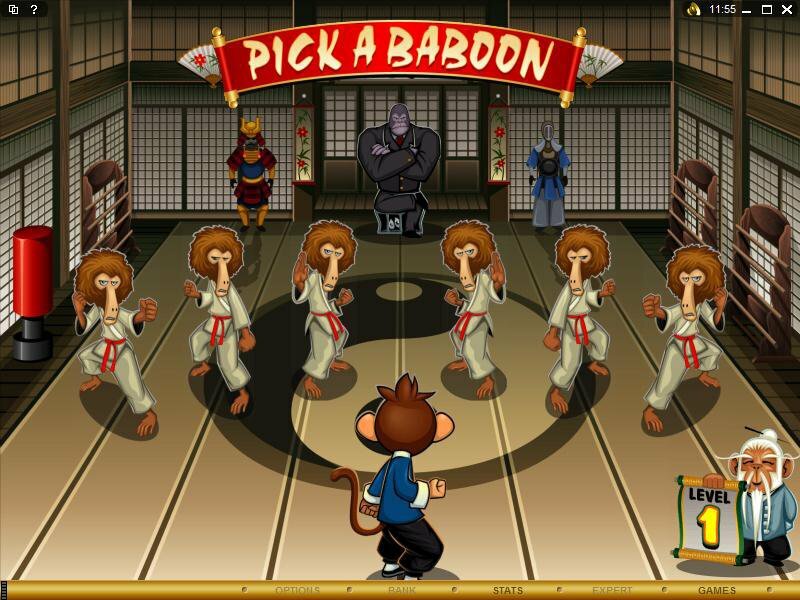 Overview: Martial arts and oriental primates form the theme of the latest 5 reel, 15 pay-line video slot: KUNG FU MONKEY, a big game with a Wild, two Scatters, Multipliers, Free Spins and an innovative 3 level, second screen bonus feature where players fight their way through pugnacious primates to free a hostage and win rewards. 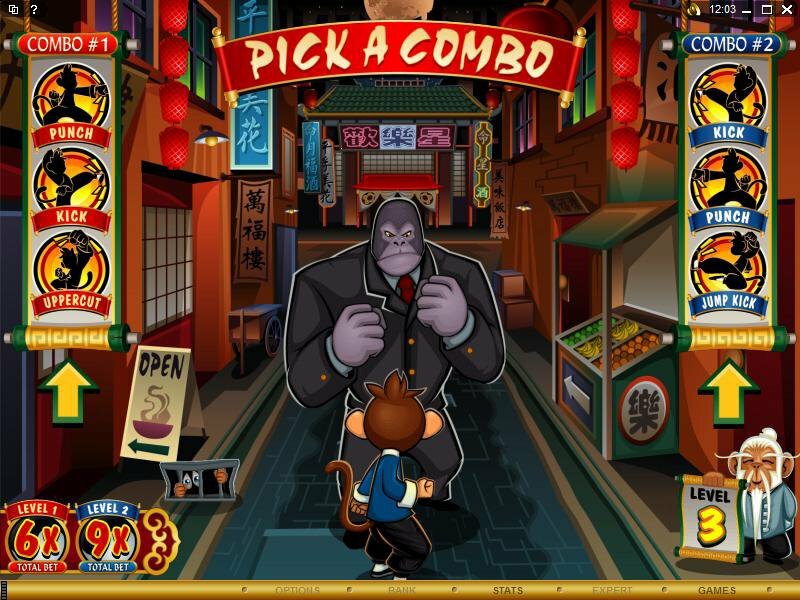 The setting is a Chinatown populated by fierce but funny ninja monkeys, aggressive monkeys, Kung fu baboons and an elegantly suited but definitely mean-looking Big Bad Boss gorilla. 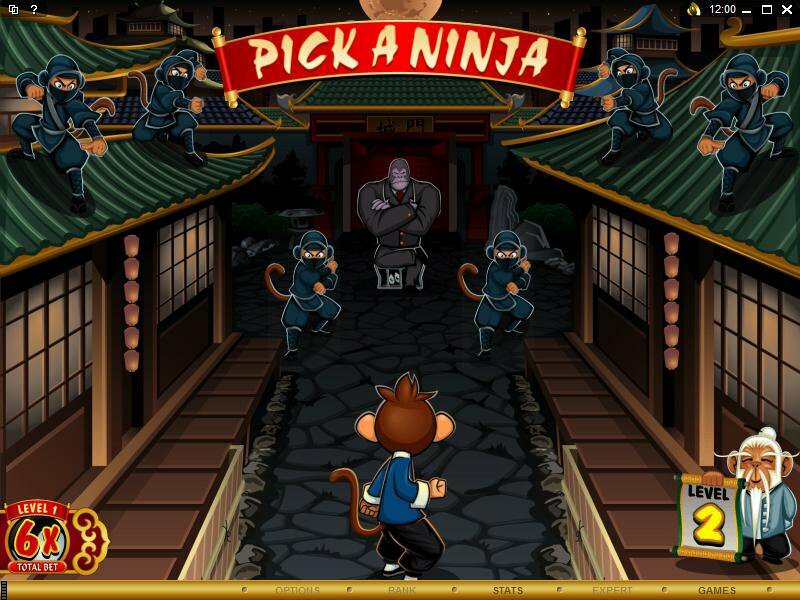 Your mission - Battle your way through the opposition, hopefully earning rewards on the way, to rescue a hostage. 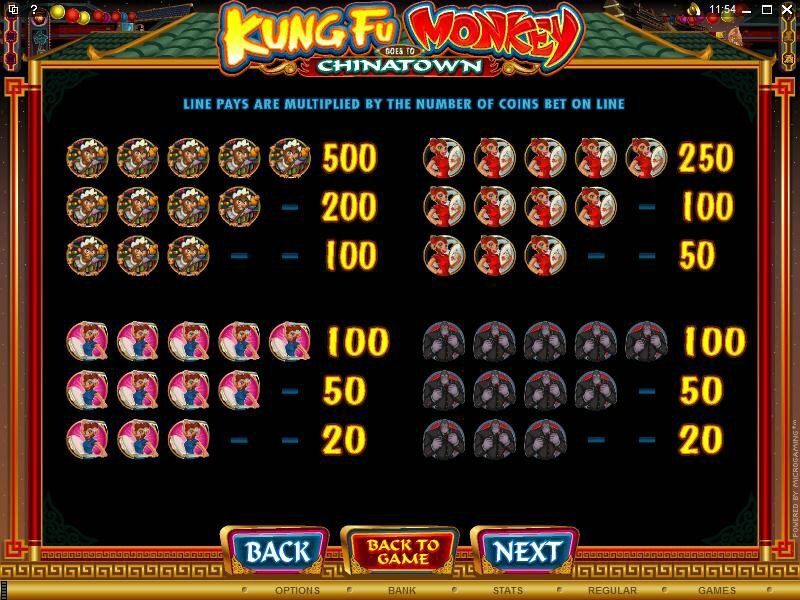 Symbols you'll want to see in this game are the two Chinese Gong Scatters anywhere on reels 1 and 5 - it's an immediate award of 10 Free Spins where the wins are doubled. 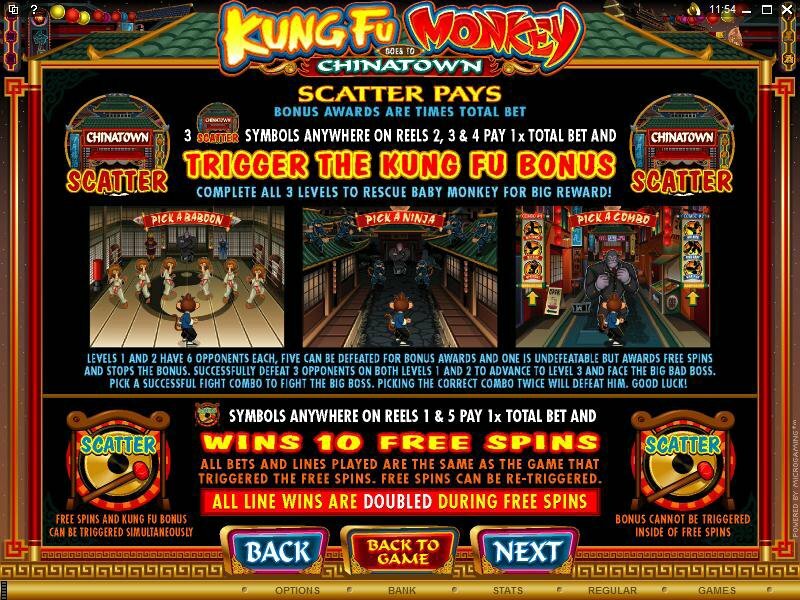 But it's Scatter number two that heralds the really good news; when the Chinatown logo appears across reels 2, 3 and 4 and the Kung Fu Monkey bonus second screen opens up, offering great opportunities for wins. 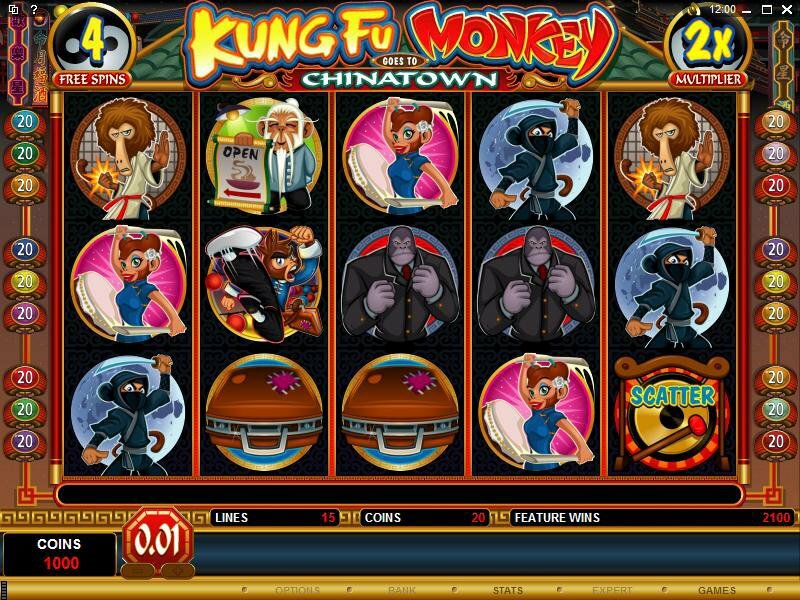 Similar Slots: If you like Kung Fu Monkey, you might like these other 5-reel slot machines: Alley Cats, Chain Mail, Dance of the Masai, Lifes a Beach, No Worries, Sterling Silver.